Lots of people are tossing around terms in education and attaching the words “21st Century” to appear cutting edge or on the front end of trending ideas. As a teacher in the 21st century I find it amazing to see some of the things that are so called “21st Century” and yet are no different than 20th or even the 19th century ideas. With that in mind, I have reflected recently on my opinion of what it takes to be a teacher in the 21st Century and what exactly such a teacher would look like. Obviously, a 21st century teacher should be tall, handsome and have a sweet spot for super heroes. Beyond that, I think there are some key characteristics that good 21st century teachers need. Be a connected educator - The idea of being a connected educator is not necessarily new but is certainly transforming with the dawn of various technology tools in the area of social media. Teachers now have the ability to connect to other teachers, administrators, parents, students and other education minded people around the world with the click of a button. There are many tools out there that allow teachers to connect. Regardless of what you use, a good 21st century teacher must be connected. There is no right way to do this. For me, I use Twitter and my Blog to connect and learn from and with educators around the globe. Be a master of technology – Now, I am not saying that a good 21st century teacher needs to have an interactive whiteboard hanging on their wall, tablets in every kid’s hand and mobile devices in every corner of the room. In fact, I think it might be more the opposite or at least a balance. In recent years educators have gone overboard with spending money and pumping technology into every corner of their schools they could possibly afford. The problem is they offered little training and much of it was used as a simple badge of honor to say they had tech in the building. Interactive whiteboards are being used as chalk boards once were, computers are being used to make flashcards and tablets are being used to do word searches. A good 21st century teacher knows the difference between what is shiny and new and what truly has the potential to transform learning for their students. A new hammer is great but a good carpenter doesn’t try to screw in a bolt with one. In the same way, a 21st century teacher knows what tools are needed and when and how to use them. Be a reflective practitioner – This is probably one of the most important areas as we as a profession in many cases have not changed in 100 years. The tools in our classrooms have changes but the pedagogy and practice has not. A 21st century teacher is able to look at their own practice and adapt and change based on the needs of the learners. Too many teachers are teaching in the year 2012 as they did when they started their careers 10, 20 or even 30 years ago. What we know about student learning and motivation has changed, so too must the art of teaching. Stagnation is the death of any teacher. Be an advocate – The final thing I feel is crucial for a good teacher in this century is to be an advocate for themselves as well as the profession. If we as teachers think someone else is going to say nice things about our profession and share positive notes on the 9 o’clock news, we are wrong. As teachers we can sit and complain about it…or we can do something about it and find ways to tell our own stories. It is a critical time in the history of education and how the profession in currently perceived in the public eye. We are under attack in many places and rather than playing the part of a wounded animal, we need to stand up for ourselves and advocate for the great work we do every single day. None of these ideas are radical or ground breaking by any stretch. Yet, too many teachers are content wrapping up old practice with new gimmicks and wonder why we don’t get any better at what we do. If we want to gain respect as a profession then we must truly embrace a 21st century model of constant growth and improvement. If we don’t get any better we only have ourselves to blame. 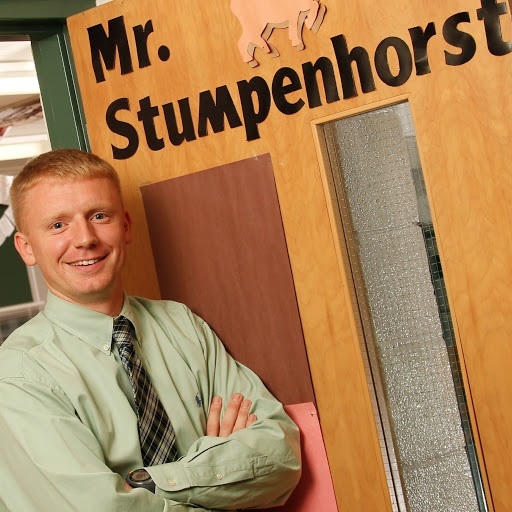 Josh Stumpenhorst (@stumpteacher) is a sixth-grade language arts and social science teacher at Lincoln Junior High School in Naperville, Ill. His work has been recognized by the International Society of Technology Educators as a member of the Emerging Leaders Class of 2011, and he is the Illinois Computer Educators’ 2012 Educator of the Year and the 2012 Illinois Teacher of the Year. He blogs at Stump the Teacher, which has received EduBlog Awards nominations.